Whyte and Brown Restaurant- It’s Clucking Great! 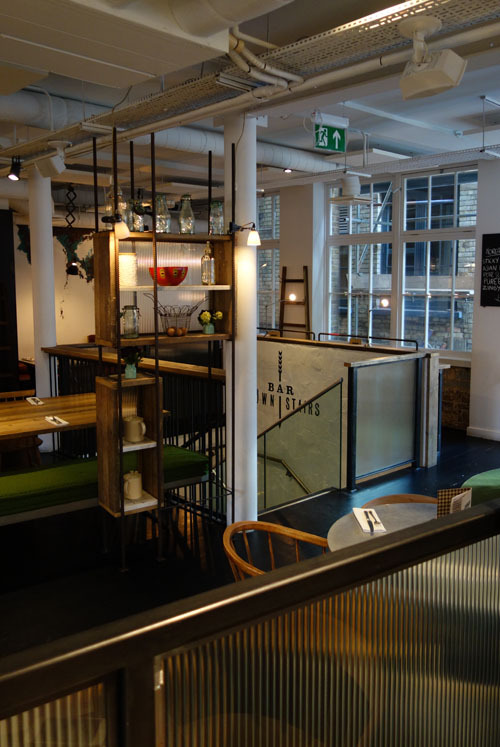 For centuries we’ve pondered, “Which came first, the chicken or the egg?’ It’s obvious at the Whyte and Brown Restaurant in London- both come first! 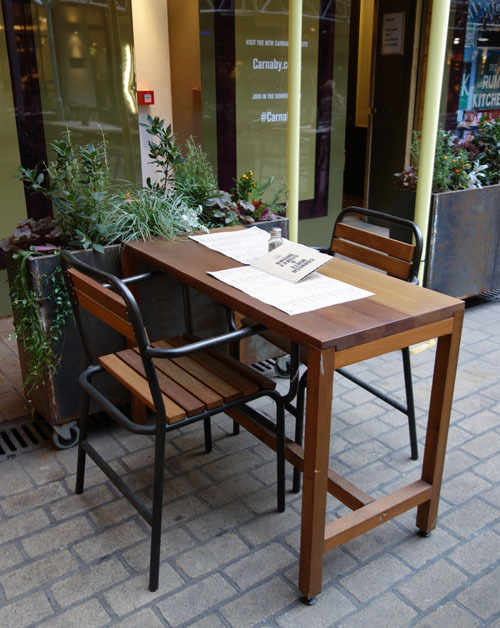 Located in one of my favorite hot spots, Kingly Court in Carnaby Street, this beautiful restaurant focuses on just two ingredients, chicken and egg. Ok, there’s another ingredient they incorporate… CRAFT BEER! I stopped in for a quick lunch just before attending Think Ink’s Black Roses and Kraken Rum Valentine’s Day event and had a truly exceptional experience. 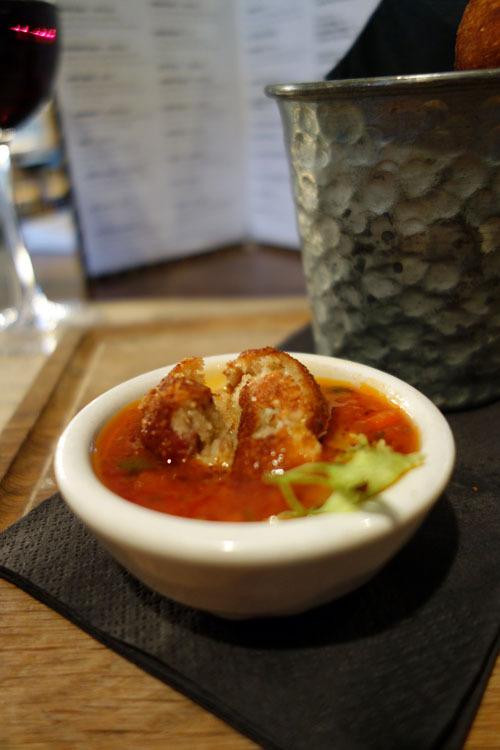 First, I ordered the Croquette Balls with Smokey Tomato Sauce from the Starter menu. It features pancetta, shredded chicken and bechamel sauce. Doesn’t this just look AMAZE-BALLS? 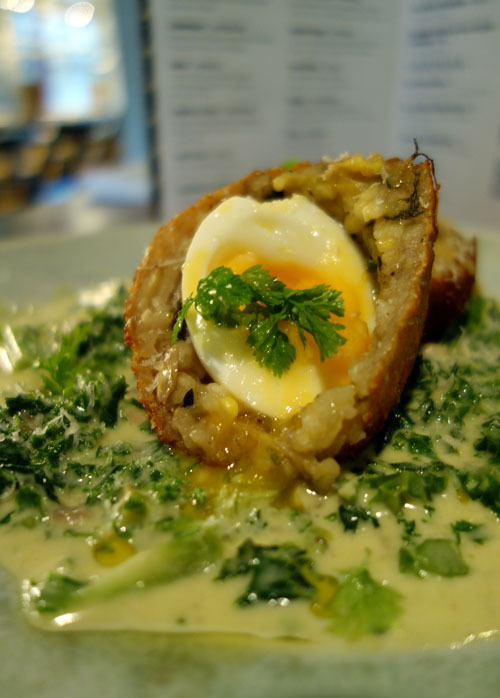 Next, I selected the Wild Mushroom Risotto Scotch Egg from the Chicken and Egg portion of the menu. The restaurant spans several floors, and you can even eat outside. 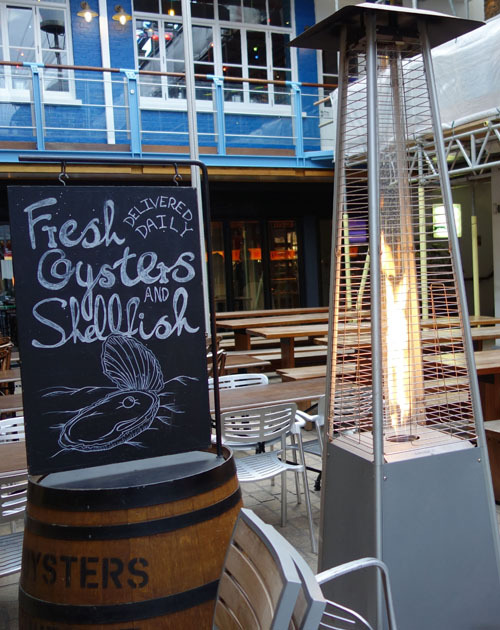 No worries, they share the courtyard with Wright Bros. Soho Oyster House, and there are numerous heaters so you won’t get too cold on those chilly London days. 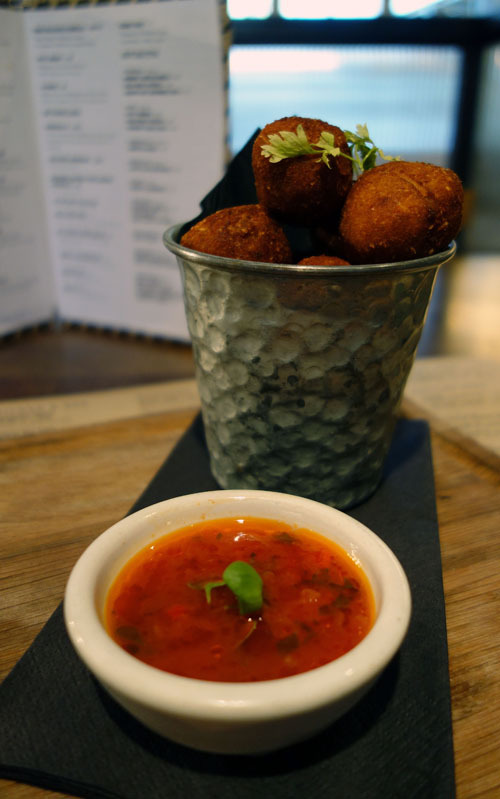 – Their new menu debuted on February 19th and aside from offering many seasonal selections, it concentrates even more on pairing craft beers with their food. Check out their website to learn about their current Early Bird promotion. – They purchase products from British producers and make an effort to know them personally. This includes working with micro-breweries across England. – And finally, you should check them out, because I SAID SO! As always, Sunny friends, let me know what you think of Whyte and Brown Restaurant when you visit. I’d love to hear feedback about the new menu. Whyte and Brown is on my list of places to go. 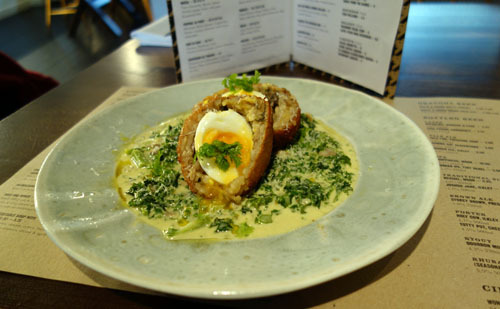 Its seems everywhere is competing to make the perfect scotch egg, I’m glad you enjoyed it here. 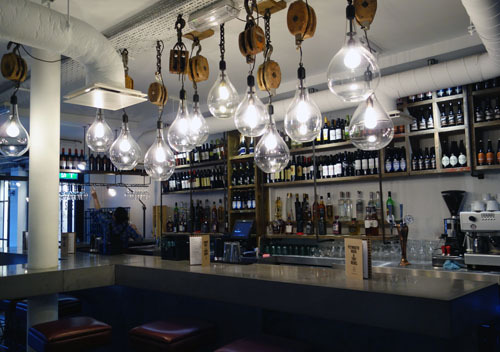 The one at Grain Store is also amazing! Scotch Eggs are one of my favorites. I order them nearly every time I see them on a menu. Whyte and Brown easily had one of the best that I’ve devoured in London!